As the New York Giants prepare for free agency and the NFL Draft, one of the most pressing concerns remains at the linebacker position. Free agency has several decent options to offer (Navarro Bowman and Nigel Bradham), but the most efficient way allocate talent to the position would be through the draft. There’s one specific player that hold an extremely high up-side along and might even slip to the third-round. University of South Carolina’s’ Darius Leonard stands at 6-foot-2 and weighs in at 229-pounds. Leonard is an inside linebacker specialist as his ability to shoot the gap and stop runners in the backfield is apparent. 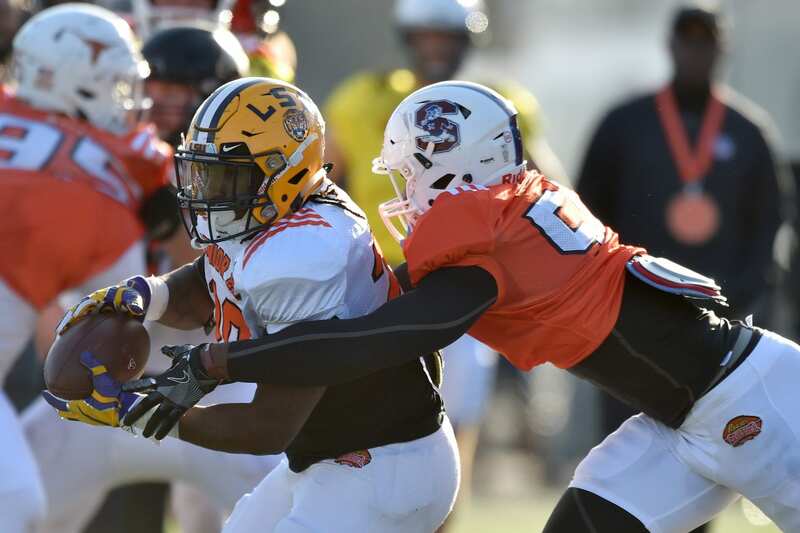 Scouts stated that they were really impressed with the young linebacker last fall, as he was seen running sideline-to-sideline in pursuit of the football. Last season he amassed 113 total tackles, eight of which were for a loss, eight sacks, one pass defended, two interceptions and one forced fumble. Leonard is fantastic at stopping plays in the backfield, which would complement the Giants’ secondary very well. The South Carolina product is entering the league with NFL size and room to grow. For the Giants, adding an agile big-bodied linebacker to the middle of the field would only be beneficial, and we can assume they will address the position in the draft. What’re The Chances The Cleveland Browns Take Saquon Barkley At No. 1?